NASA and CNES, along with our Canadian and UK space agency partners, are developing a mission to make the first global survey of Earth's surface water. The SWOT mission, with its wide swath altimetry technology, will be able to cover most of the world's ocean and freshwater bodies with repeated high resolution elevation measurements, providing observations of fine details of the ocean's surface topography, and measuring how water bodies change over time. The SWOT Applications Working Group (SAWG) supports the SWOT Early Adopters community to incorporate future SWOT data and information products into their activities. NASA's Applied Sciences Program, along with the SWOT project team, are implementing a strategy that promotes applications research and engages a broad community of users in the uses of SWOT data. This mission is being developed in response to recommendations of the National Research Council Decadal Survey report (Earth Science and Applications from Space: National Imperatives for the Next Decade and Beyond, Space Studies Board, National Academies Press, 2007). There is a developing need for the applied science community of practice to become part of the flight mission development process, from inception through launch and operations. The end goal is to integrate this community that will eventually utilize science and data products in addressing societal issues and needs. Learn about this growing community working to incorporate future SWOT data in their activities. Click a site of interest below for more details and learn more about Early Adopters. View the SWOT Early Adopters Guide. 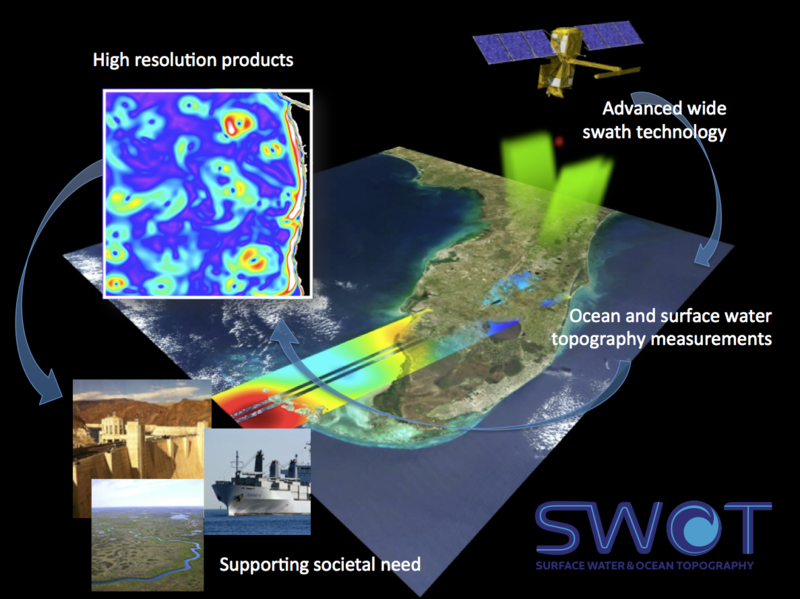 SWOT's advanced wide swath technology provides for improved ocean and surface water topography measurements. PO.DAAC and partner organization data services will provide high resolution data, which can be transformed into information products for decision makers and operational agencies for societal benefit. Promote the use of SWOT products to a community of end-users and decision makers that understand SWOT and related mission capabilities and are interested in using SWOT data products in their application. Facilitate feedback between SWOT user communities and the SWOT project. Provide information on collaborations with different types of users and communities including those of ocean research, ice and drought studies, agricultural impacts, operational oceanography, and others. Design communication strategies to target and support requirements of the user community. View technical information about SWOT science and capabilities. 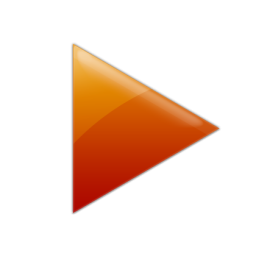 Visit the CNES Applications page on the AVISO web site. Assess current applications benefits and requirements for SWOT data products. Develop a community of end-users that understand SWOT capabilities and are interested in using SWOT data products for their application. Target partners who can work with the SWOT project during the pre-launch period, particularly to assess impacts on their applications and data product formulation. Provide information about SWOT to a broad user community. SAWG activities will be carried out through public workshops, email and personal interactions. The working group will develop a SWOT Applications Plan, conduct applications workshops and tutorials, and coordinate engagement of future SWOT Applications Early Adopters. View a list of the current members (PDF, 46 KB) of the SWOT Applications Working Group. Hossain, F., Andral, A., and Srinivasan, M.
 Bonnema, M. and Hossain, F.
 Bonnema, M., Sikder, S., Mao, Y., Chen, X., Hossain, F., Pervin, I.A., Rahman, S.M.M., and Lee, H.
 Kansakar, P. and Hossain, F.
 Bonnema, M., Sikder, S., Hossain, F., Bjerklie, D., Durand M., and Gleason, C.
 Srinivasan, M., Andral, A., Dejus, M., Hossain, F., Peterson, C., Beighley, E., Pavelsky, T., Chao, Y., Doorn, B., Bronner, E., and Houpert, L.
 Munier, S., Polebistki, A., Brown, G., Belaud, G., and Lettenmaier, D.
 Srinivasan, M., Peterson, C., and Callahan, P.
 Andral, A., Srinivasan, M., Beighley, E., and Hossain, F.
 Srinivasan, M.M., Hossain, F., Beighley, E., Peterson, C.A., and Andral, A.
 Hossain, F., Andral, A., Srinivasan, M., Peterson, C., and Beighley, E.
 Srinivasan, M., Peterson, C., Andral, A., Dejus, M., Hossain, F., and Beighley, E.
 Srinivasan, M., Peterson, C., Andral, A., and Dejus, M.
 Alsdorf, D. and Srinivasan, M.
 This guide lays out the fundamentals of the Early Adopters program for SWOT. This first SWOT users' workshop was an opportunity for early engagement of key user organizations (USGS, NOAA, Navy, MERCATOR, etc.). The 2nd application workshop was organized by the SWOT Applications Working Group (SAWG) to explore how best to maximize the user-readiness of SWOT data after its 2021 launch. This Plan outlines the applications-oriented Project and international partner efforts which are planned for the SWOT mission, outlines an approach to engaging the SWOT and AirSWOT end user community, and describes the methods to be used to achieve a successful and relevant program. The NASA Applied Sciences Program is actively supporting an agency-wide effort to formalize a mission-level data applications approach. The program goal is to engage early-phase NASA Earth satellite mission project teams with applied science representation in the flight mission planning process.